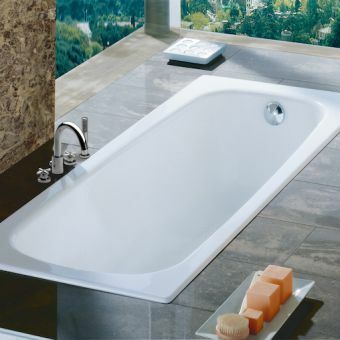 Based in Spain, Roca has a distinctive European feel to its superb bathroom collections. 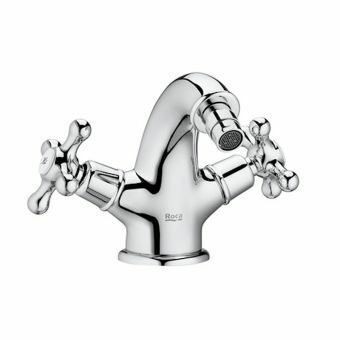 The latest innovations are dedicated to saving you time, money and water. Senso, Gap and Dama are some of their best-selling ranges featuring stunning designs and furniture that will integrate perfectly. Bearing forms that become the very definition of modern luxury, these toilets and bidets from Roca are of the very highest quality in both style and build. Roca The Gap Close Coupled WC Pan & CisternFrom £441.13 inc.VATRRP: £678.66 (Save 35%)Traditional toilet with ultra-modern looks - choice of seats. Exquisite shapes and bold designs are all part and parcel of the Roca approach to design, as we proudly present this collection of Roca basins and sinks that have immediate impact on the bathroom space. High fashion meets top level design with Roca, as their collections of exquisitely rendered furniture demonstrates. Roca Baths use fresh lines and a pared down approach to product design, ensuring maximum comfort for the user as well as projecting a sense of calm with their unfussy forms. Bold and beautiful, Roca demosntrate their design prowess with these stunning collections of contempoary taps and mixers that are perfect for the stylish, modern living space. Designers from all over the World come together at Roca to push thinking and ideas forward to produce the next generation of design concepts. From conception through to development and distribution, Roca are constantly striving to make your bathroom products the best for value and performance in a highly competitive environment. 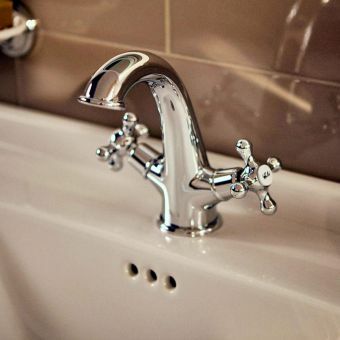 Combining a toilet with a basin may seem like a strange concept but when you realise that waste water from the basin is reused to fill the toilet cistern before flushing, suddenly, it all makes sense. Since its introduction a couple of years ago, The Gap collection has been a runaway sensation, delivering a combination of elegant sculpted lines with gently curved edges that will transform yur bathroom. Gap furniture is wall hung and can be topped with countertop or integrated basins with thin edges that produce a seamless finish. Available in matt white or purple grape, your choice can be retrained and calming or vibrant and sumptuous. Water is a precious resource so Roca pours large quantities of time and designing innovation into producing toilets taps and cisterns that work by reducing water without losing some of the experience. 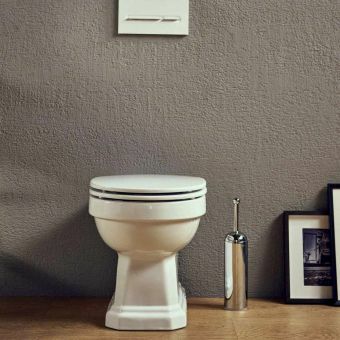 A dual flush toilet is an essential requirement for an eco-friendly bathroom and flushing volumes have reduced even more recently. Your bills will be reduced and you will feel better knowing you have helped to save water for the planet. Bathroom storage is an essential of today's busy lifestyle so having somewhere to store all the bathroom bits and bobs will ultimately make you feel more relaxed. 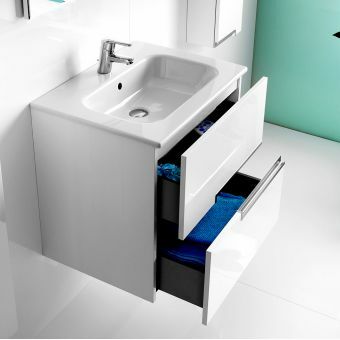 Doors and drawers feature soft closing action with carefully designed interiors that make the most use of the space around the tap waste. Finishes range from the usual gloss white to the new dark greys and wood effects, both light and dark. 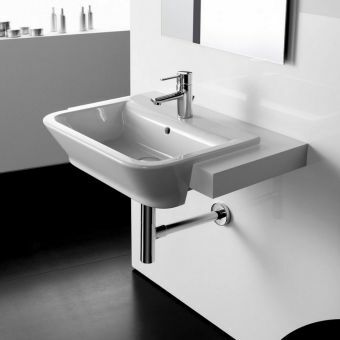 Basins are made to fit exactly and embraces minimalist design while still retaining their functionality. Decrease your bathroom clutter for a stress free start to the day. 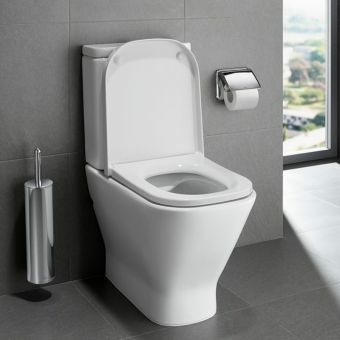 Wall hung toilets are the latest style innovations that have swept through bathroom design so keeping them off the floor has many advantages sucha as cleaning the floor or even allowing the use of infra-red touchless flushing. Concealed cisterns that allow dual flushing that use even less water is essential plus they even produce frames for basins and wall hung bidets to allow a fully co-ordinated look. With over seventy-five year’s experience, Roca now manufactures its products over five continents and operates in more than fifty countries and can by any ‘yardstick’ be classed as a truly multinational company for whom design and quality of product is a paramount consideration. 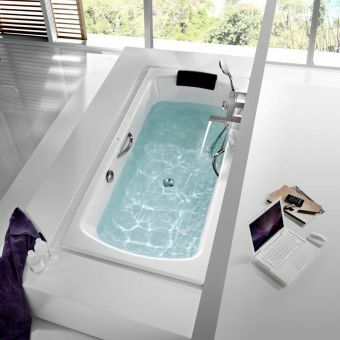 Roca are considered to be the makers of everything for bathrooms and the quality range of products include baths and basins, taps and showers, bathroom furniture, bathroom suites, showers trays, as well as hydrotherapy products. In fact Roca produce a complete range of stylish European designed practical bathroom products within a price range to suit every budget. The designs to come from the Roca range encompass both the simple to the more ornate, in a range of sizes that will fit into bathroom area. The sheer range of bathroom suites in the Roca ranges, means that the family bathroom, en-suite area, or cloakroom can be made to look beautiful, in fact something for everyone, even if space is limited. 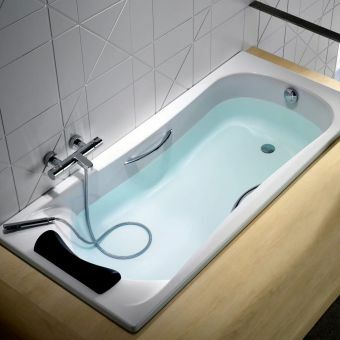 As you would expect from a modern go ahead manufacturer, Roca have a fine range of fully reinforced acrylic baths both large and small and available in a number of different shapes. One of the advantages of acrylic is of course, not just their lighter weight, but the huge variety of shapes that can be produced. Naturally Roca offer both cast iron and steel baths in their range, both traditional in shape, as well as contemporary in design. 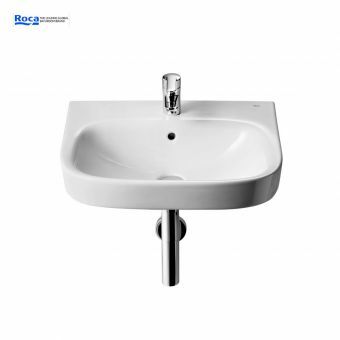 Look no further than the Roca range of basins if you are looking for something that will cause your friends and neighbours to cast more than a quick glance when they use you bathroom or cloakroom. Their designs are really out of this world, ranging from wall hung, pedestal and vanity units, and when fitted with taps and fittings from the Roca catalogue, the installation is complete. The Gap sashays into the interior with the utmost confidence and style, befitting only of interior pieces truly well designed and conceived. Eminently cool throughout, The Gap is a collection with plenty to recommend it within the context of the sleek living space. Svelte and tactile, the furniture pieces of The Gap are realised in exquisite colour finishes of cool Beige or the sumptuous luxury of Grape. 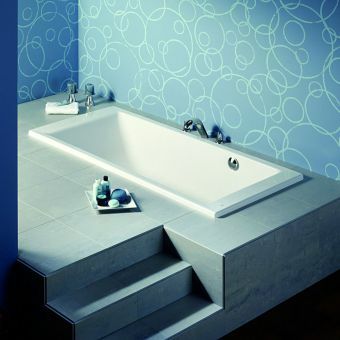 When coordinated with the sanitary ware, a bathroom that is both visually engaging as well as user orientated is created. Floor and wall mounted vanity units, along with tall storage cupboards, provide ample space to keep the bathroom free of clutter to give a chic and fresh space in which to relax. Floor or wall mounted WC suites and an array of basin options hang together naturally in a tight but loose formation. This relaxed yet coordinated look has all the style of Scaninavian chic, with confident colours and a friendly appearance. 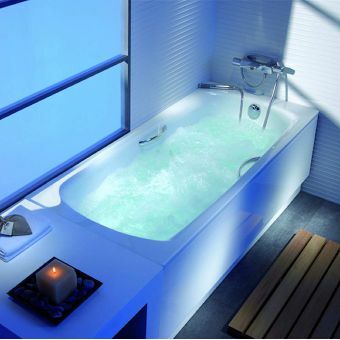 Added to this is a selection of bathtubs, giving the user to completely fit out the entire bathroom in Gap furniture pieces if desired. An inspired range of products, the Dama N series takes daring steps to reimagine standard bathroom items with new and innovative takes and ideas. By looking at WC units and basins through this new lens, Dama N Furniture takes on a distinctive and recognisable character of its own. As a luxury brand of furniture and sanitary ware, Dama N has been shaped by experts Roca to fit into the context of the modern living space with ease. 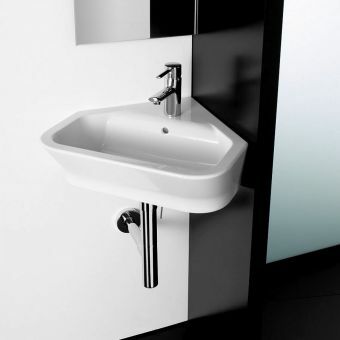 A range of basins in a variety of forms comes with matching WC pans, realised in a range of models from wall hung units to back to wall pieces. 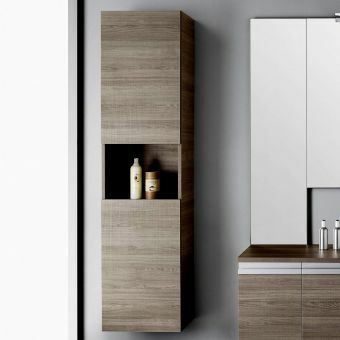 Complementing these sanitary ware pieces is a carefully considered range of cabinets and vanity units, providing storage with numerous colour finish options, from dark textured wood to white to complement their surroundings. Arranging wood, chrome and ceramic into a series of storage cupboards and vanityunits, the Victoria-N Unik pieces have an air of cool confidence around them. By opting for these pieces, the interior becomes a highly desirable space, projecting a sense of cleanliness and order onto the room. 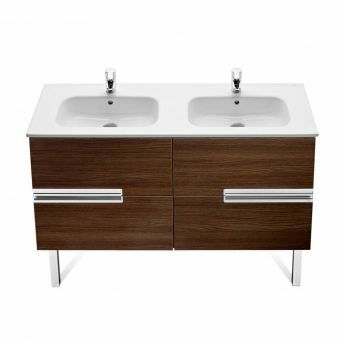 Single and dual vanity units give plenty of potential to add a highly fashionable focal point to the interior space. 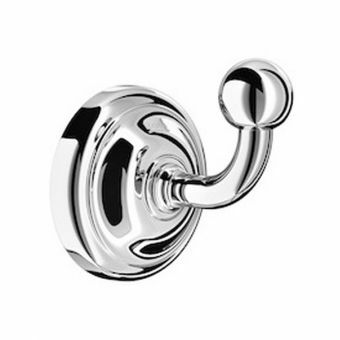 Fitted with recessed chrome handles, their sleek appearance adds to the sense of calm. 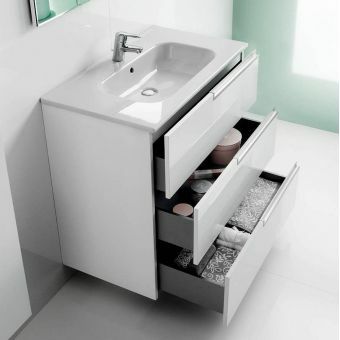 Vital storage space allows for a clutter free zone, ideal for anyone who prefers the tidy bathroom area. Worthy of consideration is the Unik Mirror, a stylishly simple slimline piece that comes with its own overhead illumination for just the right balance of light. Hanging together as a series, Unik is a breath of fresh air, more than capable of rejuvenating an interior simply by its presence alone. A charming collection that is as comprehensive in scope as it is aesthetically attractive, Debba furniture and sanitary ware has been designed with the modern living area in mind. Characterised by open and fresh aspects, and available in numerous colours for a broad palette with which to play, Debba remains a firm favourite among our customers with a taste for contemporary classics. 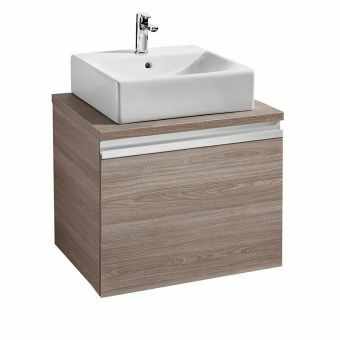 Central to this range is the choice of vanity units, giving the user the freedom to fit a stylish and trendy piece of furniture, sized appropriately to its surroundings. 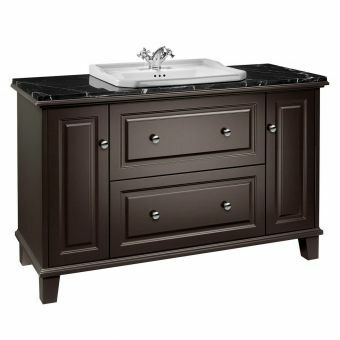 Fitted with either drawers or cabinets, these units combine handy storage with an open and accessible wash space that can be applied to the bathroom as a central piece, or as a cool feature in the guest room. Taking four different colour schemes of light and dark wood, black or white finishes to these pieces, the stylish interior that opts for simple, restrained tastes will be greatly benefited by Debba pieces. Soft, contemporary and sporting a feminine quality, products within the Laura range are an inexpensive solution when considering any new piece, or indeed a full refit, for the bathroom area. Encompassing several choices of WC unit style, and a series of basin packages, Laura has been created with accessibility, flexibility and style. 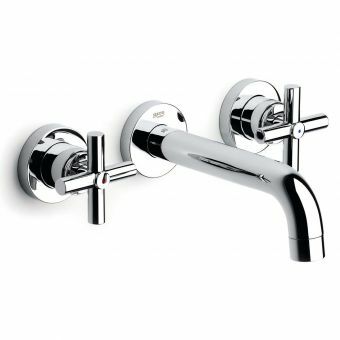 Comfortable to use, easy on the eye, inexpensive and compatible with a range of brassware options, this is a range with plenty to recommend it. 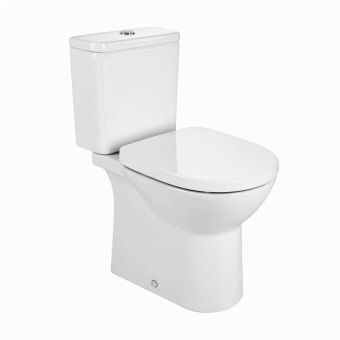 Taking the already resource efficient close coupled toilet suite, Laura also offers a finely engineered augmented model. The Super Eco Toilet Suite utilises just half the water of an average toilet, vastly reducing the flush capacity to 3 litres for lower running costs and some truly green credentials. 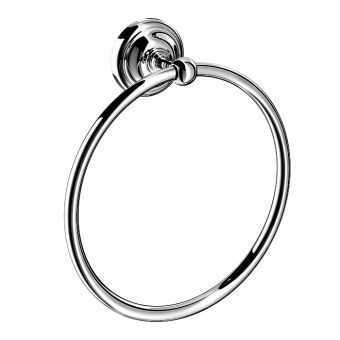 Guaranteed for 25 years, it has all the hallmarks of genuine design quality. Approaching the standard pieces of every bathroom with a fresh eye is a challenge facing every designer of bathroom sanitary ware. To demonstrate how adept they are at imagining the familiar in a different guise, Roca proudly present their Meridian-N series of highly innovative pieces. By putting together this broad collection, the customer is given numerous options to organise and arrange their bathroom, en suite or cloakroom areas with pieces that are fresh, modern and stylish. Basins are realised in all manner of designs, with recessed options rubbing shoulders with asymmetrical units and compact cloakroom designs. Included for the couple that like to be stylish is the double basin unit, divided into two bowls to keep the wash area separate yet unified. Easily recognised by the tablet shape that characterises the range, Meridian-N works with an array of interior decors and designs. Hall Sanitaryware toys with angles in creative ways to form a range with a cool, contemporary form. By merging versatility with style, this range brings character to the bathroom without compromising on functionality or comfort in any way. Providing the user with options for basins and WC suites alike, these pieces are just as much of a sensible option for the public washroom area as there are the private domicile. Cloakroom basins are supplied in narrower wall mounted versions, or with a cool corner mounted option where space is at an absolute premium. Single tap holes are cut, priming each piece to be matched with a cool mono mixer set. WC units within the Hall range possess an impressive appearance, with stepped, angular cuts into the main pan unit to create a unique effect. 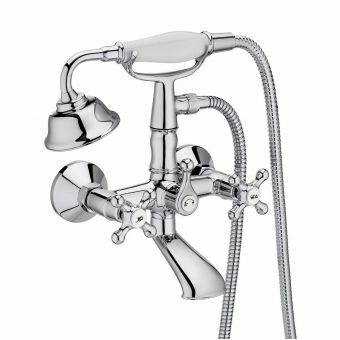 Close coupled, wall mounted and back to wall pieces are all included, with efficient use of water to keep running costs to a minimum. 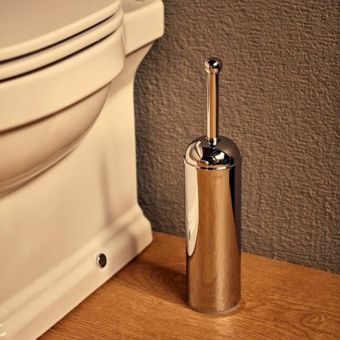 Roca Senso is a line created by one of the leading experts in modern sanitary ware, and is built to bring a sense of cool professionalism into the modern home. 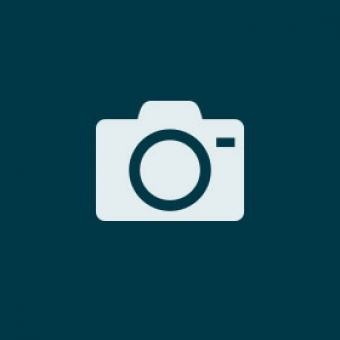 As a collection, Senso has a distinctive character. Strong yet refined, Senso has a masculine sensibility that is both suave and clean. 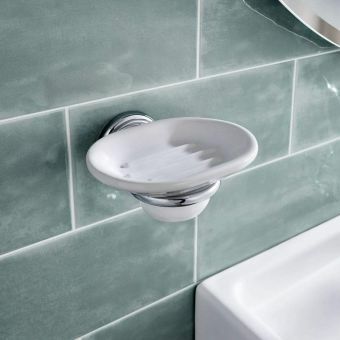 Featuring a range of basin options, including small cloakroom basins to stylish wall hung bathroom basins, supplied with an array of options for traps or pedestals to suit your overall preferred finish. 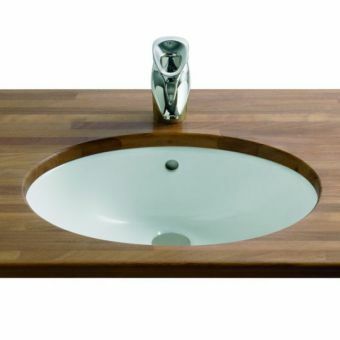 Coupling one of these basins with one of the WC units, Senso brings to the user the ultimate in cloakroom combinations. Close coupled or wall hung units offer contemporary WC solutions with restrained water usage, reducing the running costs and environmental impact. 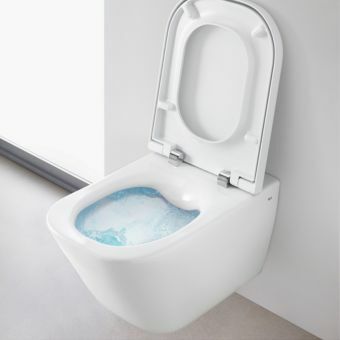 And for the bathroom with space, the Senso bidet suites bring an overlooked element of hygiene and luxury to the space. A truly stunning collection, Kalahari has all the grace, finesse and appeal required to utterly transform the bathroom interior. Kalahari basins are formed from a single, borad sheet of ceramic, the bowl created by a single, scalloped dish. 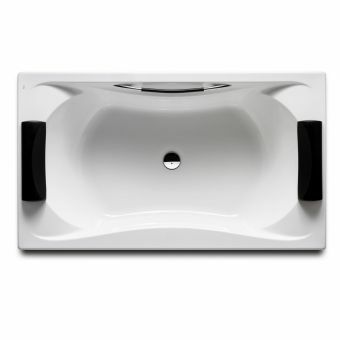 Supplied in either a single unit, or a cool double basin space to form the perfect his and hers area, these basins are bound to make a positive impact on the wash space. 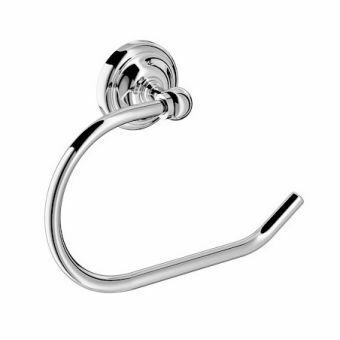 A cool chrome towel handle makes not only for a handy storage space, but a neat visual detail in its own right. Further to these exquisite pieces is a range of furniture that projects an unrivalled sense of executive cool onto the room. 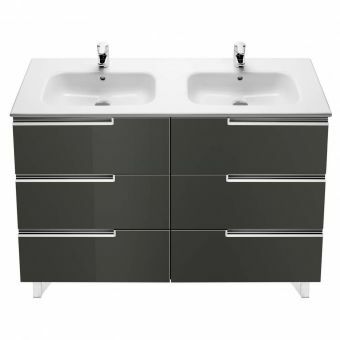 Vanity basin units present the Kalahari basins integrated into a stylish storage space, coolly rendered in either Gloss White, Gloss Taupe or Anthracite Grey. These muted tones and monochrome options make Kalahari a fine fit within the context of modern, open living areas presented with a minimum of fuss and ornamentation. Roca Elements is modern luxury personified. Open, crisp and confident, it is the perfect choice for the end user with aspirations to create a contemporary living area that strikes the right balance of space and light for maximum comfort. Crafted by prestigious designer David Chipperfield, this comprehensive series of pieces works together seamlessly. Ceramic sanitary ware is cleanly realised, taking the form of the cube and softening the edges and corners with gentle curvature. With pieces ranging from bath tubs to bidets, an entire bathroom can be fitted with Element for a cohesive look of timeless luxury. 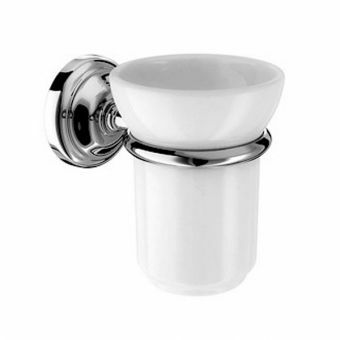 Further to the sanitary ware is the brassware fixtures. 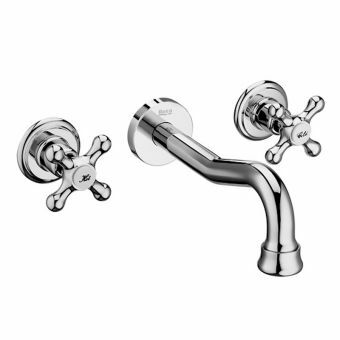 Designed for simplicity and efficiency, these wall mounted pieces deliver a strong sense of continental cool along with their user friendly arrangement. 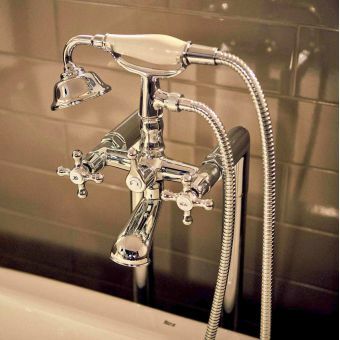 Shower kits, bath fillers and combined bath and shower sets cater for almost any combination needed, giving flexibility when it comes to arranging the layout of your bathroom space. For anyone hunting for an addition to the bathroom that is fuss free, stylish and modern, the Mini furniture packs by Roca are an obvious choice. 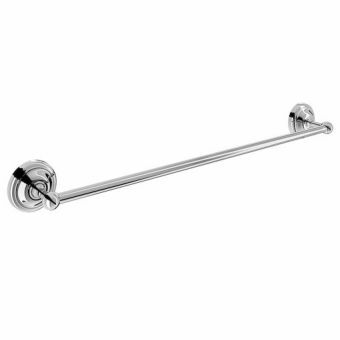 Carefully considered in terms of how the separate items hang together, these packages can be relied upon to work wonders for the bathroom or en suite. Two options for arrangements are presented here, with either a wall mounted mirror or mirrored cabinet paired with the vanity unit. While the benefits of additional storage are obvious with the cabinet unit, the single mirror provides alternatives where space may be restricted. 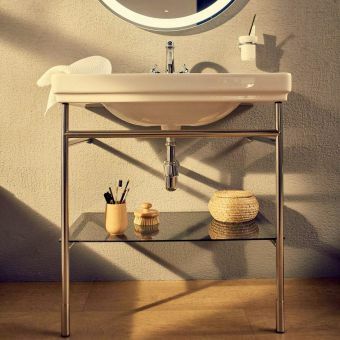 Pairing a reflective surface with the vanity unit is a natural choice, as these options present the opportunity to create a ready made, personal space for all your grooming needs. Attached to the wall, these charming units combine the wash space with storage. Compact, neat and tidy, they are a vital ingredient in the modern home that needs an injection of light and space. 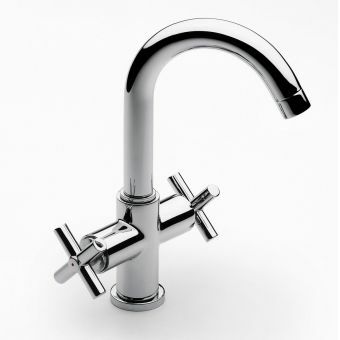 Elegant, sculpted and refreshingly simple, Nexo has been developed by Roca as a comprehensive range of sanitary ware. Characterised by broad surfaces, sweeping curves and an almost artistic integrity to each piece, Nexo comes into its own in the modern living space. Suitable for inclusion in the modern home or the commercial guest house or hotel, Nexo pieces can be mixed and matched according to function and requirements. 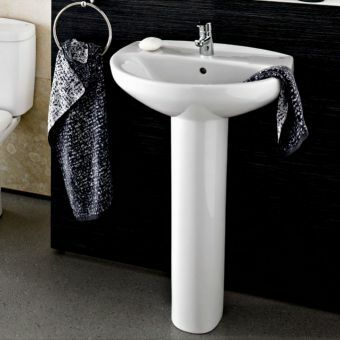 Where space is limited, the corner cloakroom basin is a simple and effective solution. For those with room to play with, the broad asymmetrical basins make a bold and commanding statement piece, focusing the attention of anyone stepping into the room. 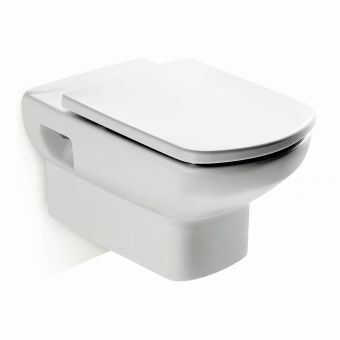 Fitted with bespoke toilet lids and seats, the Nexo WC pans possess a simple but effective form that is devoid of dust traps needless ornamentation. Minimalism is definitely a key ingredient to Nexo, so if you are searching for that pared down look, this might be the one for you. Polo possesses a slimline aesthetic, giving it an almost willowy appearance throughout like a poised ballerina. 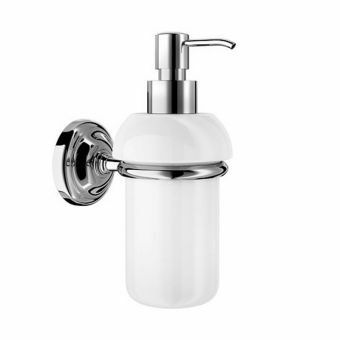 Realised with the uncluttered, subtle finish associated with contemporary fashions, Roca Polo sanitary ware imprints a lasting sense of freshness on the bathroom interior. 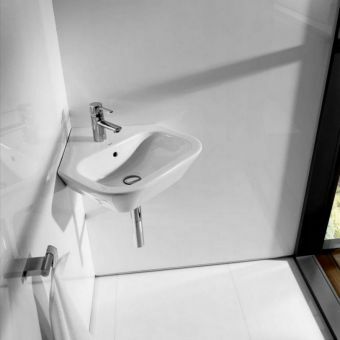 Working in tandem, the Polo toilet suites and basins make a natural pairing for the cloakroom area. 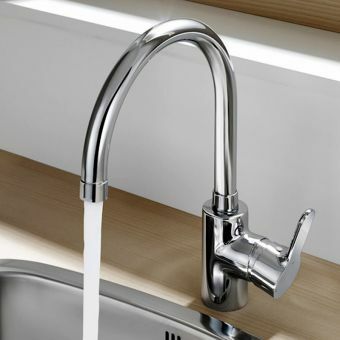 Fitted with one or two tap holes, the basin also comes with an optional fluted pedestal to complete the look and keep pipework neatly out of sight. 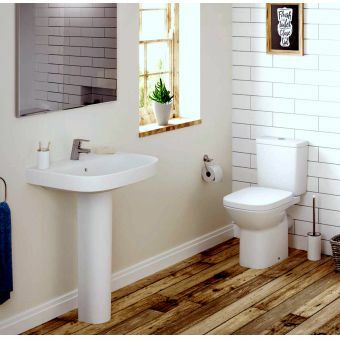 Specifically designed to keep prices low and accessible, the Polo range is a favoured choice among landlords and developers looking to renovate their bathroom area on a tightly controlled budget. Achieving this goal and keeping the pieces in the range functional and relevant has been a triumph of design on the part of Roca. From the drawing board to your bathroom, Roca take pride in every step of the design and creation process of their products. Senso Compact demonstrates their attention to detail, with each piece carefully considered. Overflow outlets on compact hand basins are placed asymmetrically to save space, while maximising the available fill area for total user comfort and convenience. Taking the standard washbasin bowl and adding a new and exciting twist to it, Senso Compact has a playful element while retaining a strong sense of purpose and robust build quality. WC units are fitted with discrete floor fixings, and take into consideration the overall effect within the bathroom area. By opting for a simple footprint devoid of nooks and crannies, it is easy to keep clean with a quick sweep. v For the savvy shopper, the Senso Compact range also includes a high efficiency, Eco water saving WC suite. By cultivating a sense of cleanliness, efficiency and a sturdy build quality, Senso Compact is a firm favourite within both the public space and the private home. 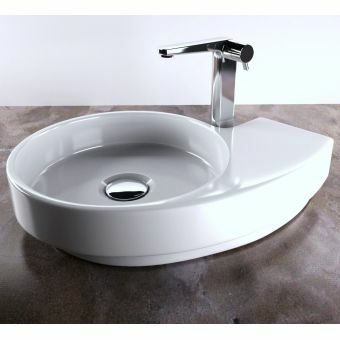 As a collection of designer basins, Senso Square has the bases covered. Stylish and strong, this range is a considered collection with applications for a variety of contexts. Moulded with a minimum of ornamentation, these basins let their user friendly forms and fresh modernity speak for the masses. Options range from large, 1000mm wide basins for the master bathroom area, through to compact hand basins for the small cloakroom or closet. Each basin bears the same hallmarks of design, allowing them to coordinate in harmony within a single space, or from room to room throughout a home, guest house or even hotel. For the designer with an eye for interior fashion, the two vanity unit options will provide much food for thought. Presented in an array of stylish colour options of red, black or white, the smooth action pull out drawers and smooth corners ensure a sense of calm luxury and Scandinavian chic.